I have a VR6 Corrado too. 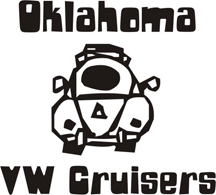 We dont have alot of watercooled here, wetdub.com is the watercooled club in okc. hey man its cool. im just looking for a place to settle in. yeah i looked into wet dub for a minute and one guy referred me to a shop called der german out of tulsa to fix my corrado. the shop did not do a very good job working on the engine cause two thousand dollars later the car still bucks under acceleration and idles rough but ive got it in a different shop now so cross my fingers. however all the non motor work they did was good. so hey man, i give credit where its deserved and only where its deserved. lol. but hey i love the car and i dont want to give up on it anyways you guys have a great day. where do you live? there are 3 shops in okc. If your down that way i would take it to Darrel, he is near 149th and Anderson Rd. He is great on them. i actually need to take mine there. I DOUBT a TPS will fix that. I dont do upholstery i used a guy in edmond that was pretty good tho.